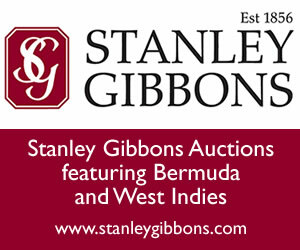 The annual BCS auction is restricted to members only and provides an opportunity to sell and buy Bermuda material to and from fellow collectors. It is an important fund raising activity for our Society, so please support it! It’s ready! See the PDF below. Click the link below the panel if you want to download it. Look for it in the January 2018 Bermuda Post. See images of some of the 2018 lots.